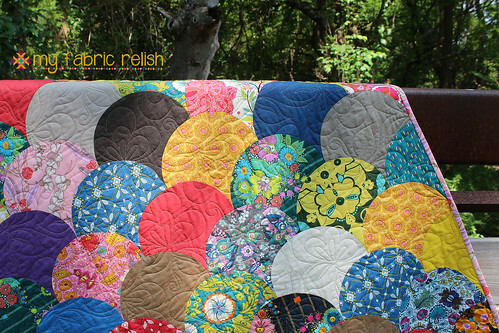 my fabric relish: Clam Shells! Stop it! I want clam shells everywhere! So I've been on a clam shell kick lately (you might've noticed) and I have several recent projects that can attest to my obsession. I've been sharing some of these over on IG but wanted to give them the blog love as well. Back in November, Michelle at Urban Spools asked if I would like to design the Row by Row Experience row for the shop and of course I said yes! 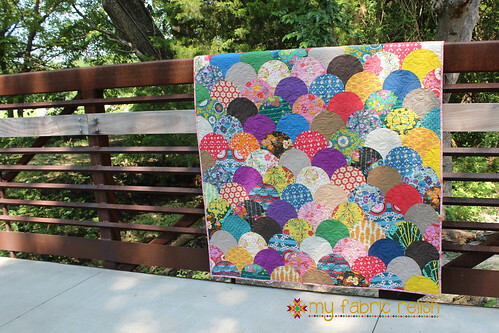 This is my clam sham and having a class at Urban Spools later this month. You can read more about the pillow here! I even made my Alison Glass mini swap partner her own clam mini. 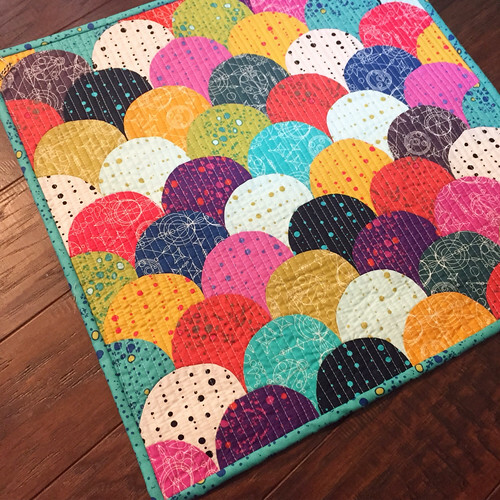 But then I decided to go bigger with an 8" Accuquilt die and made an Anna Maria Clam (remember my AMG goal of sew all the AMH?)! I used mostly Folksolg by AMH with a little Pretty Potent and Oakshot cottons mixed in. I went with a pantograph called Moxie and love this design. It's probably my favorite! Even this butterfly appreciates clams. Can you spot it? 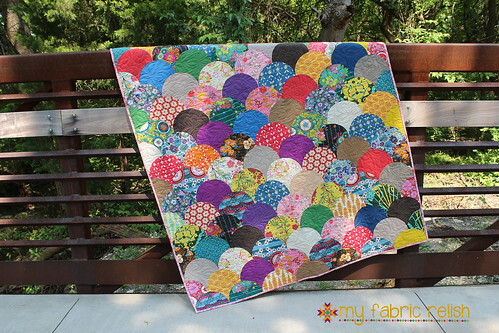 So, even though I use my Accuquilt to cut my clams, that doesn't mean you need a die cutter to make your own clam pillow or quilt. 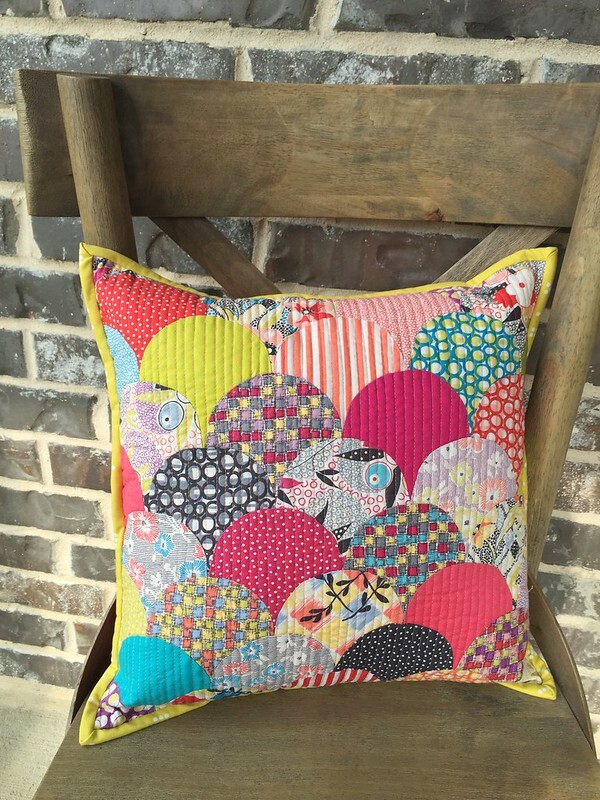 You can find a great free pattern on Craftsy by Latifah Saarif with great instructions and a templates (8", 12" and templates for 4" and 6"). 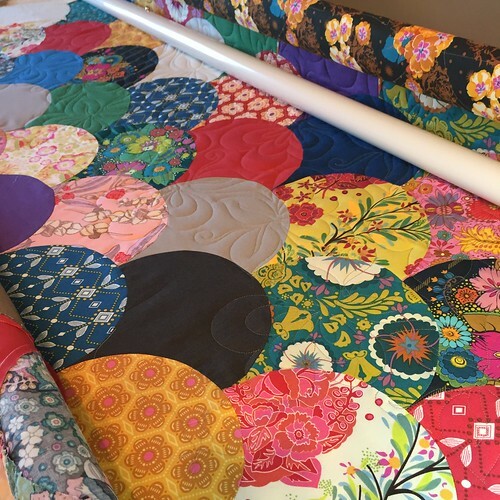 So what's your summer quilting obsession? I love clam shell quilts. Have not made one yet. Gah these are so gorgeous! 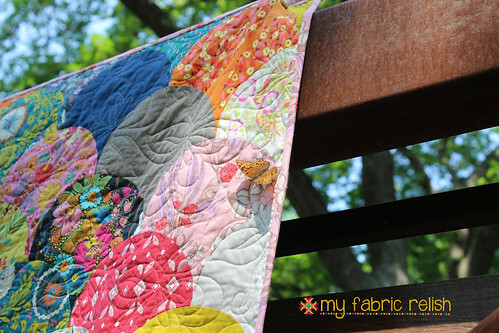 I have been wanting and accuquilt cutter for a while now, I might ask my hubby for one as a belated birthday present. I love all of your quilts. 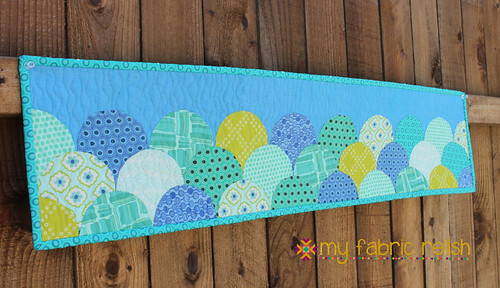 did you machine piece the clams, or applique?